My Grandmother always used to call me her little witch. I must have been an amiable child. Always full of crazy ideas. Always full of silliness. And mostly laughing. Since then nothing much has changed. Once a joker, always a joker. And after all the awkward puberty was gone… some day I actually could embrace my kind of crazy side. But every once in a while you need a small push into the right direction to let the slightly crazy trait of yours come out to play again. The wintery world outside is grey and bare-branched after all. Cold. And a little bit uncomfortable. It weighs on the spirit and sometimes even on the circulation. So we need colours! Bright and lively ones that shine and bring some sort of beautiful light back into our lives. And if they also manage to refresh, reanimate and make our senses work again it is even better. Maybe this smoothie helps. It is yellow like the sun – or like the stars… you see much more of them these days anyway. And it delightens by merely looking at it. 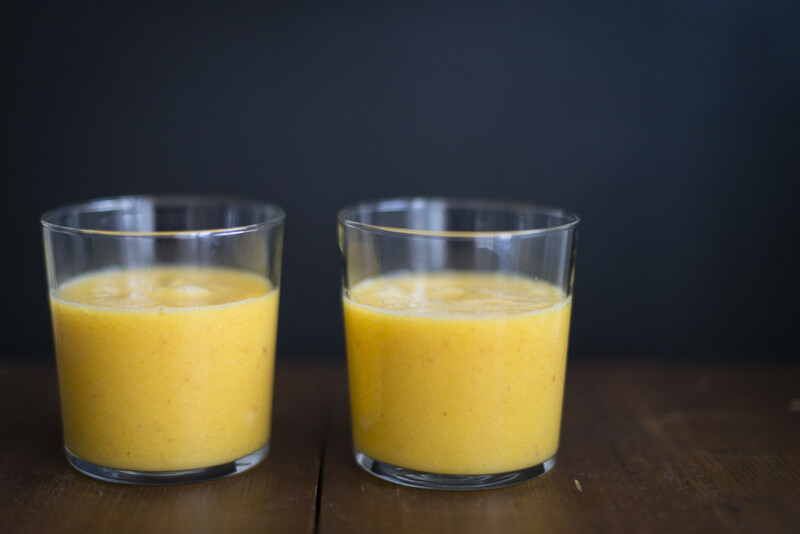 Additionally you get a nice and strong vitamin boost from delicious mango, oranges, apple, turmeric and ginger that help you to shield against a cold. And it also provides you with a wonderful refreshment. Peel the ginger and chop it into small pieces. 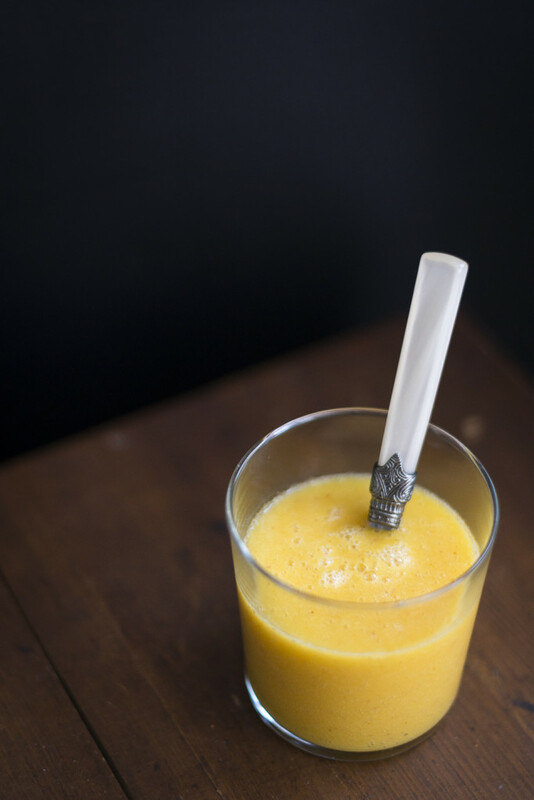 Put all the ingredients into the container of an an electric blender and mix until the drink is smooth.